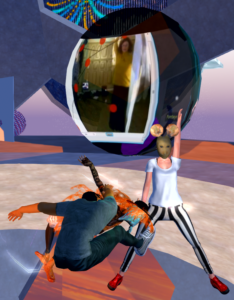 Here are some images from a performance/demonstration with Senses Places in a mixed reality participatory performance environment. 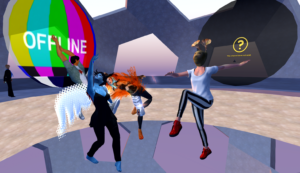 The event took place earlier this week at the 2016 Open Sim Conference.. 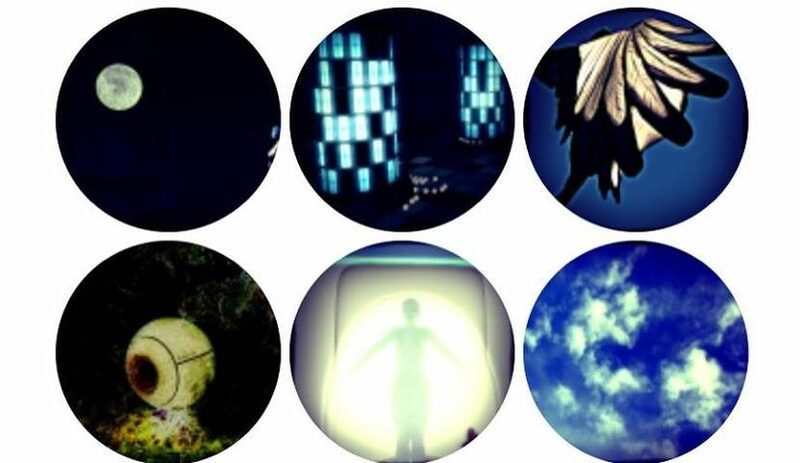 Senses Places is a project by Isabel C. Valverde and collaborators. 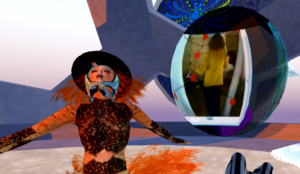 I have had the great opportunity to be a part of this project for the last few years and to help host Senses Places performances on the Odyssey Simulators. 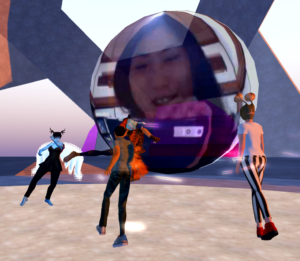 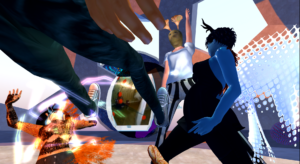 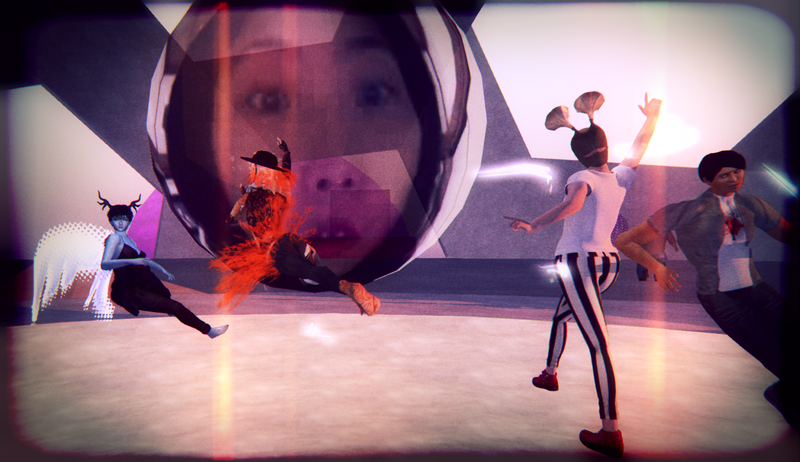 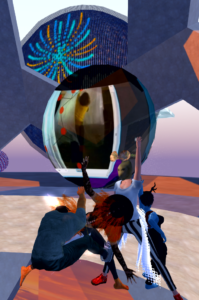 Dancers and other participants in RL (real life) link to their avatars via a webcam interface. 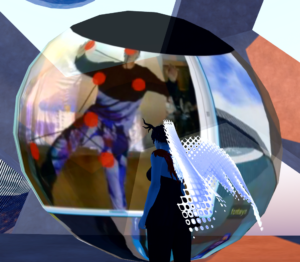 The webcam picks up mocap points on the dancer’s body and translates the movement (via the internet) to the dancer’s avatar in world. 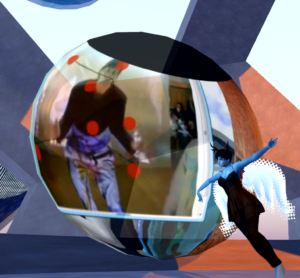 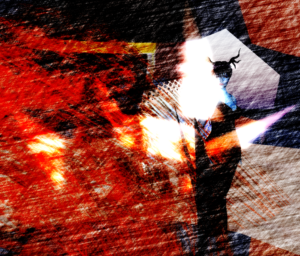 The physical body interacts with the virtual one, feedback is created, lines blur, it’s very cool. 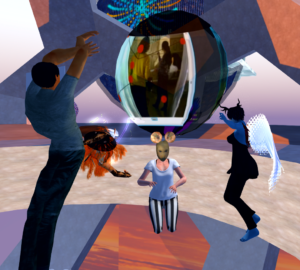 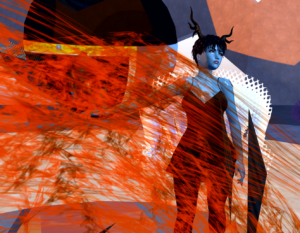 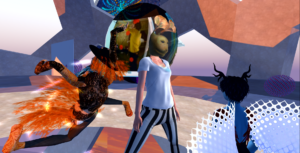 Here are images from earlier this week – I am performing with Isabel C. Valverde, Kikas Babenco and Toddles on Odyssey at the Open Sim Conference. 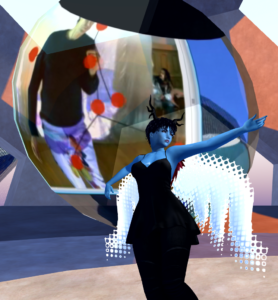 We have another performance coming up this evening.